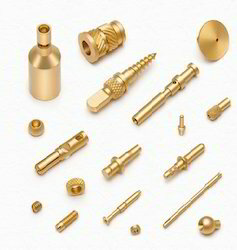 Manufacturer of a wide range of products which include brass micro parts and brass micro turned parts. We are offering the high-quality collection of Brass Micro Parts to our valuable customers. Designed and developed from high-grade materials, the products offered by us are usage in the Connectors, Electrical & Electronics, Instrumentation, Telecommunication, Automotive, Medical & Surgical and Industrial Assemblies. The offered products are available with us at most economical prices within the committed span of time. 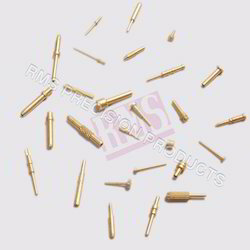 We are manufacturing Brass Micro Turned parts as per customers drawing and as per specification.